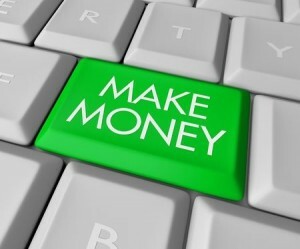 Once commonly overlooked method of making money on the internet is to sell your own product. Most beginners to internet marketing believe this to be a difficult process and therefore miss the opportunity to make some very serious money. Let’s take a look at what you need to know. A good place to start is to create a simple how to report. Think about the skills you have – most people have several skills that they take for granted and people will pay for a simple guide which explains just how to do a specific task particularly if in doing do they can save money or time. The report does not need to be extensive. Aim for 15-20 pages and aim to provide excellent quality. Once the writing is done you can add an e book cover which looks like a 3d book cover. These can be created online and there are a number of free sites which allow you to create such a cover easily by dragging and dropping various modules and then clicking to create. If you are unsure then many people will create a cover for you for a relatively small sum – expect to pay around $15 for a good quality e-book cover. This is money well spent and increases the perceived value of your book. Once the product is created you need to think about the best platform on which to place the product to sell. There are a number of choices including Clickbank and also Amazon. E-books are now outselling traditional books on Amazon, fuelled by the advent of e-book readers such as the Kindle. The beauty of this is that Amazon takes care of delivery of the e-book and also the marketing. There are few companies that are better than Amazon when it comes to cross selling and up selling products. They typically take 30% of the purchase price in commission which is not too bad since you get to keep 70%! Another advantage of having your own product is that affiliates will help you to sell the product. This means that you become the employer and they are working for you in selling your product. Very good products attract affiliates and it’s not unusual to have a few hundred affiliates all working hard to sell your product. A good way of encouraging affiliates is to provide marketing material for them so they can use it on their websites. This could include images and sales pages – the easier you make it the more an affiliate is likely to want to sell your product as opposed to someone else’s. government grant? Losing money seems to be the prime requirement for government grants these days. Great article. I am in the process of completing my 2nd product now. Best decision that I made. if i have created a product and also selling o platforms like cb and amazon then any one pload it rapid share and other free hosting sevices how can i claim it nowadays these things are happening most frequently..
Actually I do not know how create blogs and publish,only affiliate Manager I think in google has helped me doing this, but still I donot kno how I can earn money through this. great article….will come in use as i try to develop my own brand.